Screenshot of the WannaCrypt virus ransom message. 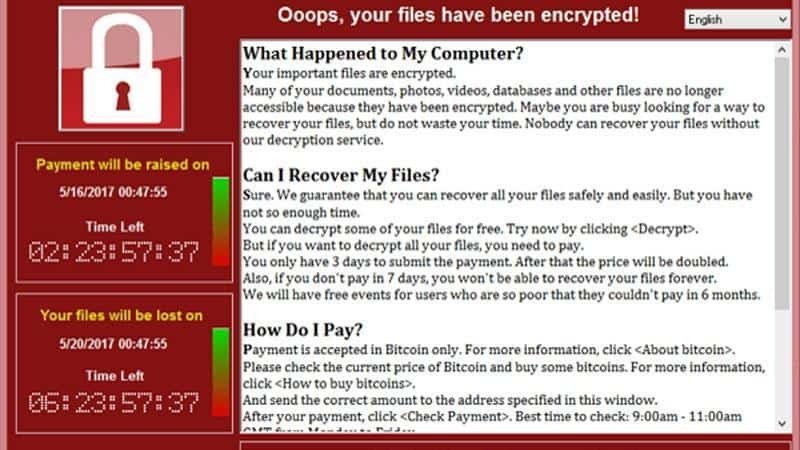 I’m sure by now you’ve all heard about that virus attack, commonly referred as WannaCry or WannaCryptor, on the news and internet. It’s shut down hospitals, offices, and a lot more. They say it may be the largest cyber attack in history, and I wouldn’t doubt it. It’s a big deal. Running a computer repair shop in Mission Hills and a mobile IT service in San Diego, we see A LOT of viruses, many of them very destructive when it comes to photos, documents, and important items on your computer. Those things are now a target for these hackers. These types of viruses make your photos, documents, etc. unusable unless you pay the ransom. And the ransom is expensive and hard to pay. There are some really good options for backup these days, and whether you want an offsite backup in “the cloud” or want something backed up to a hard drive next to your computer, just make sure you have a good, reliable backup of some sort. A good image backup can save you from a hard drive crash or or ransomware, like this WannaCryptor virus. This might be the most important in this list. The WannaCry virus could have been mostly prevented if Windows updates and software updates were done on time. Although every once in a while, Windows updates can cause issues, they fix bugs, make things run better and most importantly… patch the operating system for vulnerabilities like the one that was causing all this trouble. Ask us about our monthly “Update & Patch Management Service” to make sure you’re safe from these type of issues. We hope that helps clarify what all the hubub is about with the WannaCry virus. Ransomware and Crypto viruses are really bad news, and sometimes the only type of virus where we can make a full recovery. The best thing you can do it be prepared, make sure your updates and patches are done (ask us about handling those for you!) and with a one-time purchase of a backup kit (we can help you with that too!) or the $10ish bucks a month to make sure you’re backed up and protected against nasty viruses like this, you can be assured that you have a plan A, a plan B and a plan C. If you know me, that’s how I work… at least in this arena, you should too.